The English Oxford dictionary defines Art as “the expression or application of human creative skill and imagination, to be appreciated primarily for their beauty or emotional power. Not long ago, Miami was unfairly considered the cultural desert of the United States. Academics, artists, and intellectuals felt that the lack of a captivating audience, public funding, and art venues, were to be blamed for their stifled careers. In a way, they were completely right. Throughout the various economic crisis of the past decade, the visual arts in South Florida have suffered extreme blows, and in many areas, art venues would never return to business. And now Art Basel is a major force in South Florida! Miami Art Week has become a pilgrimage for artists, collectors, and enthusiasts to come together to celebrate creativity. Yes, many times these celebrations are ruled by excessive displays of ego and gaudiness. But do keep in mind, that the vast majority of all strong modern and contemporary art scenes in the U.S., such as the ones in L.A. and N.Y. from the 1950s - 1980s had clubs and partying as active allies in the proliferation of new artists and players in a new, local, art industry. So I do welcome Art Basel Miami and Miami Art Week, wholeheartedly. And I believe it is crucial that we support it by attending exhibits, becoming patrons, and celebrating Art in our own South Floridian kind of way. But as Jews, how do we embrace this climate of art, specially as it falls on Hanukkah? We need to find meaning and purpose in it. Once we understand that Art is one of the strongest forms of communication, we understand that today Art provides us with a rare opportunity to address many of society’s contemporary issues. Issues such as prejudice, violence, and the fear of the foreigner. For this year’s Art Basel Week I choose to address the theme of immigration, through the famous order given to Abraham and his children in Lech Lecha; to leave, to migrate, and to become a stranger in a strange land! As a first-generation immigrant and returnee to Judaism from a family of exiled crypto-Jews who were in a spiritual and physical 500-Year diaspora since the days of the Spanish Inquisition, I choose to speak up against the treatment given to asylum-seekers in our country. This is conversation about basic human treatment, outside of the political debate. As an artist, I choose to focus on the process of exile and adaption, with a strong Jewish undertone of overcoming assimilation by never forgetting one’s history. For Art Basel Week, I therefore created a large-scale, multimedia, and audience-participatory exhibit titled “I Am A Stranger in A Strange Land,” where through installations, paintings, films, and many interesting conversations we will be discussing the meaning of being a stranger in a strange land. Although themes of exile, family-separation, and identity suppression are worthy of our serious attention, we will also embrace the visual language of beauty, joy, and intellect of Miami Art Week: We will be colorful and bold, deep and thought-provoking. We will have a pop-up museum-quality Exhibit at CAMEO nightclub, where the dinner table and guests will become part of the art collection and Art Basel experience! So please join me this Friday night for our own Art Basel Week Shabbat Dinner. This is the very first official ShabBasel event in Miami history! 50% of the proceeds from the sales of artwork will be donated to charitable causes. Let the light shine through, Miami Art Week style! Are you surviving or thriving? Tips to wow any relationship with world renowned coach Rebbetzin Chana Carlebach. Implementing Proven Strategies plus a Q&A with Rabbi Moishe & Layah Kievman! JBS's exclusive television presentation of the 2018 Friends of the IDF Gala featuring a number of amazing soldiers of the IDF who tell their personal stories, including Staff Sgt. Bar, an IDF Paramedic who describes how he saved a Syrian infant injured in Syria during its civil war, and Major Or Ben-Yehuda, who explains how her mother Dina, a Hadassah Hospital professor, inspired her own acts of bravery that saved her squad from a Palestinian surprise attack. North Miami Beach, Fla. -- Thirteen Scheck Hillel Community School seniors have been nominated for the 2019 Miami Herald Silver Knight Awards: one of the nation’s most highly regarded student awards programs. These students are Jonathan Abbo (Digital & Interactive Media), Shelly Albergel (World Languages), Jorge Batievsky (Business), Esther Benasayag (Vocational/Technical), Joseph Bensabat (Social Sciences), Moises Bensadon (Science), Gabriela Bentolila (Art), Alexa Cohen (Journalism), Raquel Dimitri (General Scholarship), Matias Lancewicki (Math), Jayme Podgorowiez (Music), Emily Rodman (Speech), Albert Wolak (Athletics). "Congratulations to all the nominees,” said Vanessa Donaher, Head of Scheck Hillel Community School. “These students represent the range and depth of academic excellence at Scheck Hillel." Recently, Scheck Hillel students were awarded 53 Advanced Placement (AP) Scholar Awards, and Raquel Dimitri '19, was named a National Merit Semifinalist, adding to Scheck Hillel's academic achievements at a national level. Scheck Hillel Community School educates and inspires students 18 months-Grade 12 to become exemplary global citizens with enduring Jewish identity and values through an individualized college preparatory curriculum highlighted by STEM and design, Capstone, college dual enrollment, arts, athletics and community service. Its 14-acres include a 115,000-sq.-ft athletic complex with additional expansion plans. Set within a nurturing, diverse community, Scheck Hillel is one of the world's largest Jewish community day schools and a National Blue Ribbon School of Excellence. For more information about Scheck Hillel Community School or to arrange a visit to the school, please contact our Admissions office at 305.931.2831x173 or write to admission@eHillel.org. 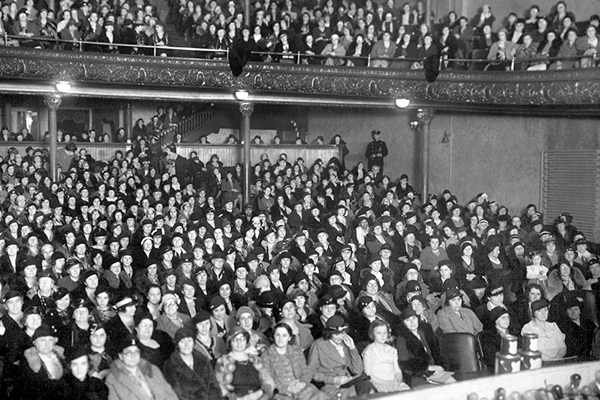 Stories about World War II and the persecution of Europe's Jews were a constant presence in American movie theaters and living rooms throughout the 1930–40s. Join us to learn how Hollywood and leaders in entertainment and government battled for the hearts and minds of Americans. Register today for this important conversation, which will be held on December 10 in Miami. Award-winning films such as Mrs. Miniver, The Great Dictator, and Casablanca shaped Americans’ understanding of the Nazi threat, while newsreels and radio programs offered a brief glimpse into world events and the range of opinions on the war effort. Join us at this program to hear from experts about how media shaped American responses to the Holocaust. These programs are free and open to the public, but registration is required. For more information, please contact the Museum's Southeast Regional Office at 561.995.6773 or southeast@ushmm.org. Besides lunch, treats include latkes, applesauce and Chanukah candy gelt. In the celebration, there will be games, music and "Chanukah Auction." Please reply if you plan on attending: 305-205-3846 or 954-442-9624. The AJSE is a local, 40+ year-old organization with the mission to provide Jewish holiday celebrations to Jewish adults with developmental disabilities and their friends. The AJSE is supported by the Greater Miami Jewish Federation. Postscript: Please contact the above numbers to volunteer! The event of the year is almost here! Come experience the rich and savory flavors of South Florida’s top kosher caterers and restaurants! Highlighting over 400 of the worlds greatest wines and 40 top culinary experts, Kosher Food and Wine Miami is a culinary experience not to be forgotten. Hosted at the prestigious Turnberry Isle Miami in Aventura, over 1,000 attendees gather to taste the most exquisite and delightful flavors South Florida’s tastebuds have been acquainted with. Long-time classics, cult favorites, and some up-and-coming wines will be presented for tasting. And what’s wine without awesome cuisine? Sample signature dishes and sweet treats while you mingle, socialize, and network in an upscale venue with an energetic nightlife ambiance. Can't wait to see you there! 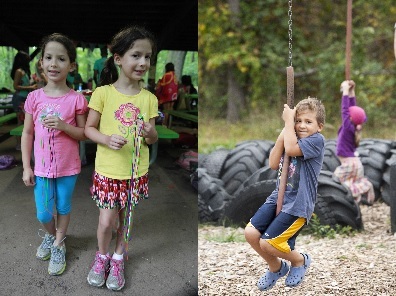 The Greater Miami Jewish Federation is now accepting applications for 2019 Need-Based Jewish Overnight Summer Camp Scholarships for children between the ages of 8 and 17, to help make Jewish overnight summer camps more affordable for Miami-Dade County families. Application deadline is Thursday, January 31, 2019 at 11:59PM. Late applications will not be accepted. Recognizing that Jewish overnight camp is a significant vehicle for Jewish engagement, the Annual Federation /UJA Campaign has allocated $100,000 each year since 2002 for funding assistance. Last year, nearly 200 need-based scholarships were awarded to children, enabling them to attend a variety of overnight camps from all religious streams, as well as JCC overnight programs and youth group movements. How to Like the Ones you Love! Secrets from the Torah that enhance the quality of intimacy of our most important relationships, with guest speaker Rochel Goldbaum. This is the first this years Project Connect series, uniting all Jewish women of North Dade.